For over 25 years Lahila has counseled people from all over the world in her successful practice teaching about healing and achieving wellness for body, mind, and soul. With great compassion and dedication Lahila seeks to uplift and transform those around her who desire personal transformation and well-being. Her positive signature teaching style is very encouraging, empowering, and motivating. Based on client and yoga student observation over the years Lahila believes that through regular application of “prana” life force (breath work), “energy” (physical exercises), “mudras” (energy seals), and “mantras” (sound currents) – anybody’s consciousness expands and therefore great balance, healing, and eventually a positive happy fulﬁlled life is achieved. As a celebrated pop singer and composer in Europe, Lahila earned two Gold and one Platinum album by the time she turned 21. She is the lead vocalist on 15 released CD’s in German and English. She also toured Europe extensively as an actor/singer, having starring roles in eight large, top-tier pop/rock musicals. 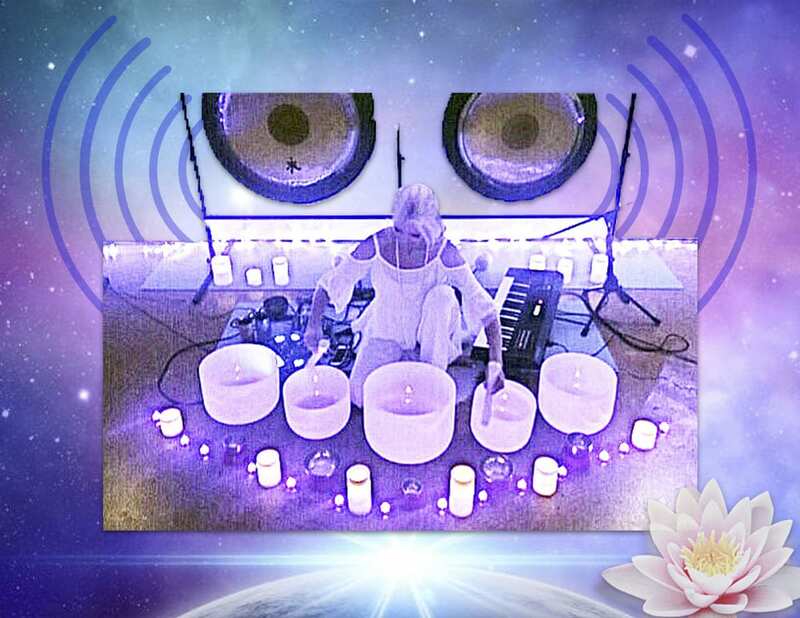 This Sound-Bath Immersion will provide a therapeutic application of sound frequencies to your body/mind/spirit with the intention of creating a state of Harmony, Health and Wellbeing. Lahila masterfully blends the transformational high frequency sound-currents of Gongs, Singing Bowls, Synthesizer (432hz), Nature-Sound Blends and Sacred Mantras and more… Sound-Vibration is the new vibrational medicine of our time. It overwrites old energy imprints and patterns and aligns you with your Essential Self. When balance and ease is restored on all levels (physical, emotional, mental, and spiritual), it is in that very moment that tension drops, stresses vanish, and resistance gets released down to the cellular and subatomic level. Consequently, Healing And Transformation happens and Wellbeing is restored.